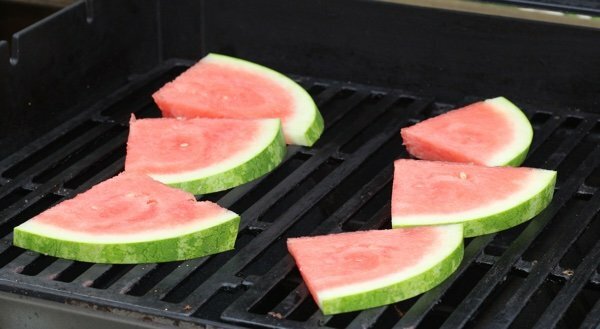 Do you know how to grill watermelon? Perhaps you are wondering why you would do such a thing. I don’t know if you have had grilled peaches – but they rock. Watermelon is also tough enough to handle the grill. This is more of a savory take on watermelon like my watermelon and feta appetizer and watermelon and tomato soup. 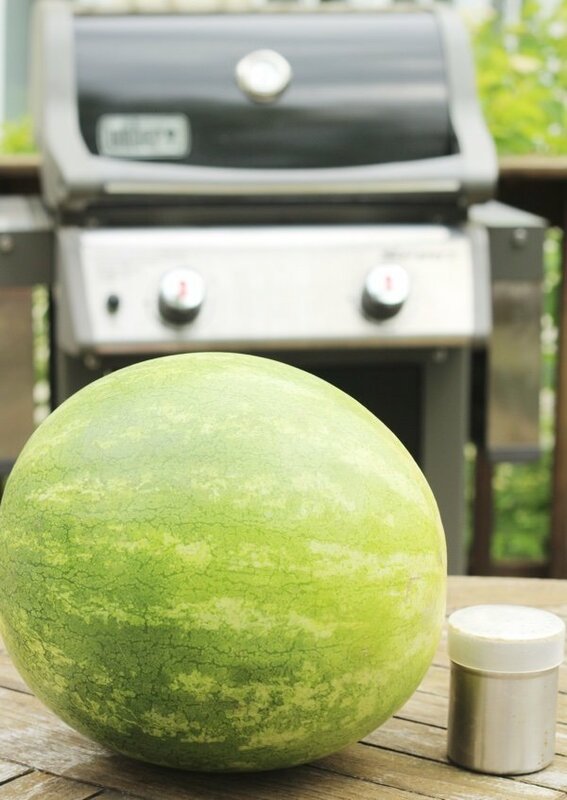 All you need is a watermelon, kosher salt, and a grill. You don’t even need a gas grill. Any grill that gets hot will work. Please be sure that your grill is reasonably clean or your watermelon will end up tasting like whatever you last grilled on it. I believe this is an improvement on raw watermelon as the heat intensifies the watermelon flavor. I also love how easy this is on a hot summer’s day. Slice the watermelon about ½ inch thick. You will treat it like a hamburger and flip it with a spatula. When you put it on the grill, you should hear a satisfying “ssssssss”. This only takes about 3 minutes per side and then you have something really special. The heat and salt turns watermelon into something more like a cross between a tomato and a watermelon. It is unique and I don’t know why I didn’t try it until now! Whatever you do, please grill some watermelon this summer. It will make you smile. 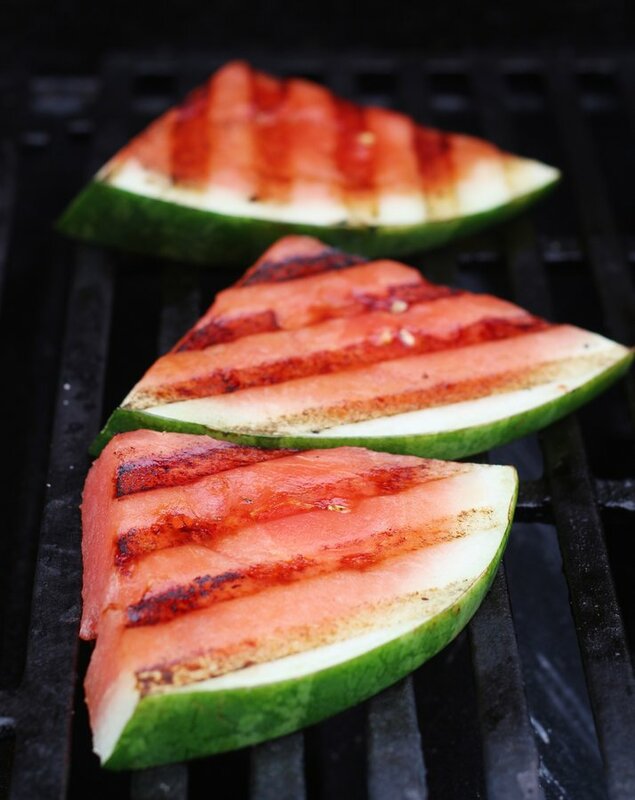 Have you ever grilled watermelon? What do you serve it with? Heat and clean an outdoor gas grill to high or prepare a charcoal grill to be very hot (and clean). 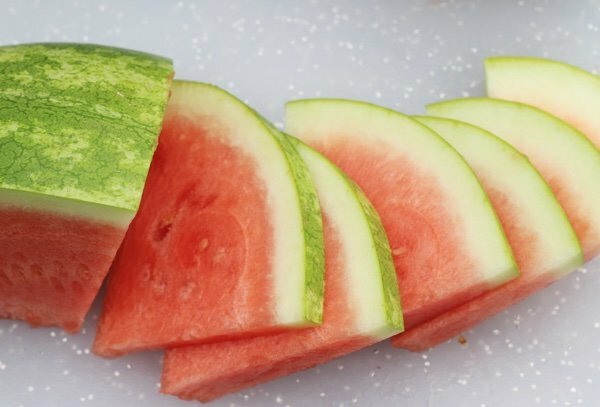 Cut the ends of the watermelon and stand it up. Slice it in half and then cut ½ inch slices that are triangles keeping the rind on. Large “steaks” of watermelon will wall apart so it is important to leave the rind and make smallish triangles. 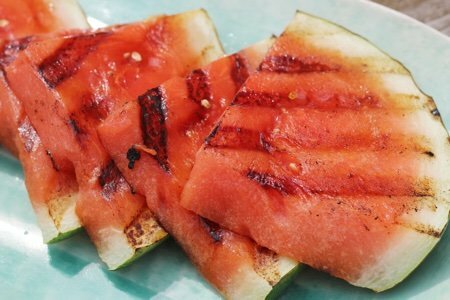 Put watermelon slice on the hot grill and dust with salt. Heat for 2-3 minutes until there are grill marks and flip with a spatula. Cook for another 2-3 minutes. Serve immediately. Love salt on watermelon but have never grilled it. Will try. Not so sure about this. Juicy, sweet watermelon is sooooo good as it is. Feeling the same about great peaches. We rarely get real good ones here up north, so when they ARE in season, I just want them plain so that when you bite into them the juice runs down your chin. I just tried this last week. Im not gonna lie. .i was completely grossed out at the thought. It literally made me sick to think about. But after some healthy peer pressure to try it. I did...and i LOVED it!! Even if you are not inspired to cook it your self try it a bbq if its available! YUM-O! Luv the grilled watermelon. Luv Watermelon anyway you can have it!! 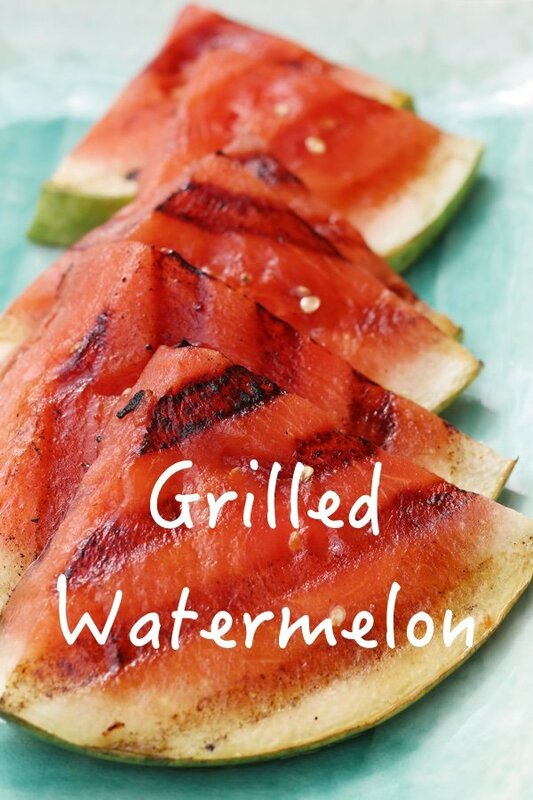 Haven't grilled watermelon up to this point... but definitely will give it a try now! Thanks!